Mini purple round flower edge sheer organza pouch with pull tie ribbons add elegance to your table setting. 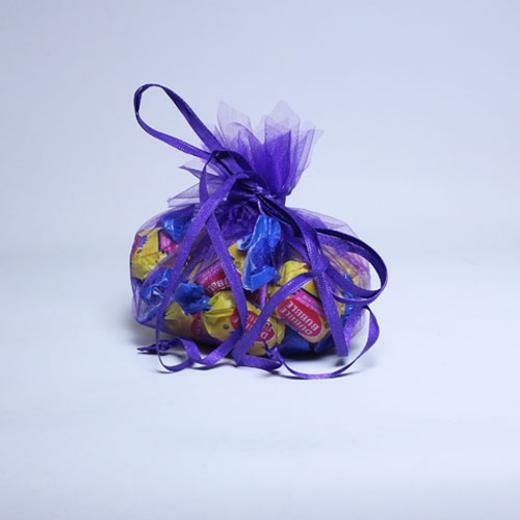 You can use these beautiful organza bags to hold party favors, candy, nuts or even potpourri. 1 package of 12 organza sacks for weddings, events, trade shows and parties. Treats and favors not included.